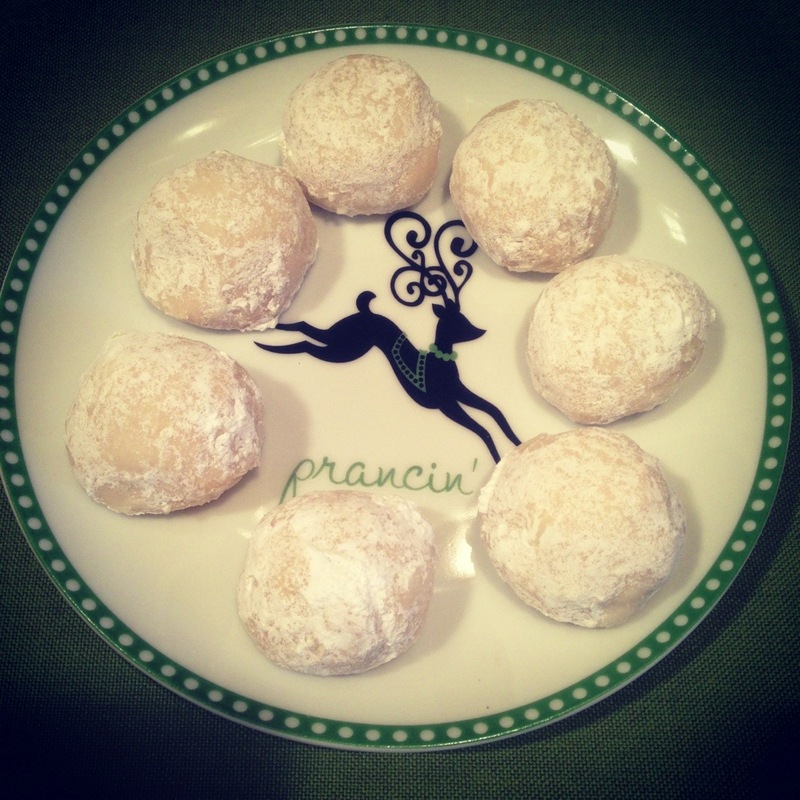 Every holiday season, my mom bakes her amazing “Snowball” cookies. They are so simple, yet so delicious. Since I won’t be home for Christmas this year, she had all of my favorite Christmas cookies ready for me when I came home last weekend. It wouldn’t feel like the most wonderful time of year without these seasonal sweets! I wanted to spread the Christmas cheer, so below is the recipe for these festive cookies. They also make great gifts, especially when served on a festive plate. I love these kinds of cookies! I’ve made them with pecans before…..